10.30am: An idiot’s guide to Enterprise Investment Schemes (EIS): Chris Holmes, founder of Castle Rock Brewery, explains how it raised £600,000 via EIS to open the Poppy & Pint in Lady in West Bridgford, Notts. 10.45am: Walk the talk. 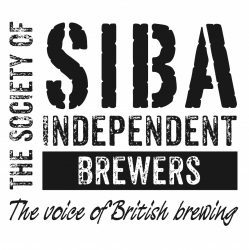 SIBA chief executive Julian Grocock explains why he decided to put his money where his mouth is and take on a free-of-tie leased pub and the challenges he has faced. 11.00am: How SIBA is helping the pub trade. 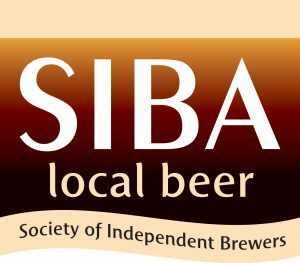 Chairman Keith Bott explains how schemes such as SIBA Locals is helping to improve the quality of beer in pubs and other ways the initiative is helping to increase footfall in the on-trade. 11.30am: What’s happening in the beer market: Graeme Loudon, CGA’s senior account manager, gives a detailed insight into the latest trends in the beer market. 12.00pm: Flexing the tie. Enterprise Inns chief operating officer Simon Townsend and Simon Webster, chief operating officer of Thornbridge Brewery, explain how they struck up a fruitful partnership which has seen the brewer take on two Enterprise pubs with a view to adding more. 12.30pm: Free on cask. Wharfebank Brewery became the first to take on a new free of tie on cask ale lease agreement with Punch Taverns. Dave Wigham of Punch and Wharfebank give an insight into how the deal works. 2.30pm: Evolving Project William. Everards marketing director Erika Hardy gives an update on how Project William, where it partners local brewers to re-open pubs, has now evolved to include Project Artisan where local butchers and bakers are leasing parts of pubs to run their business from. 3.00pm: Digital revolution. Cask Marque’s Paul Nunny on how the organisation is helping to drive pub traffic through the use of i-phone apps and consumer awareness. 3.30pm: Business with the X-Factor: BII Licensee of the Year Darran Lingley of the Five Bells, Colne Engaine, Essex, shares how double your money promotions, X-Factor winner Matt Cardle, wine, jukeboxes and measuring how much money is spent on every customer are working for his business. 4.00pm: Why craft beer is the future: Meantime chief executive Nick Miller and chairman Alastair Hook share their thoughts on the craft beer market and why it is increasing in popularity.